Creating opportunity for low- and moderate-income people through affordable housing in diverse, thriving communities. What a pleasure it was working with [your design team] on the Design portions of the project. It felt like there was a nice, steady cadence to the rounds of revision and the communication. The use of UXPin and the willingness for your design team to hear us out and make adjustments on the fly really got us to a good place quickly. 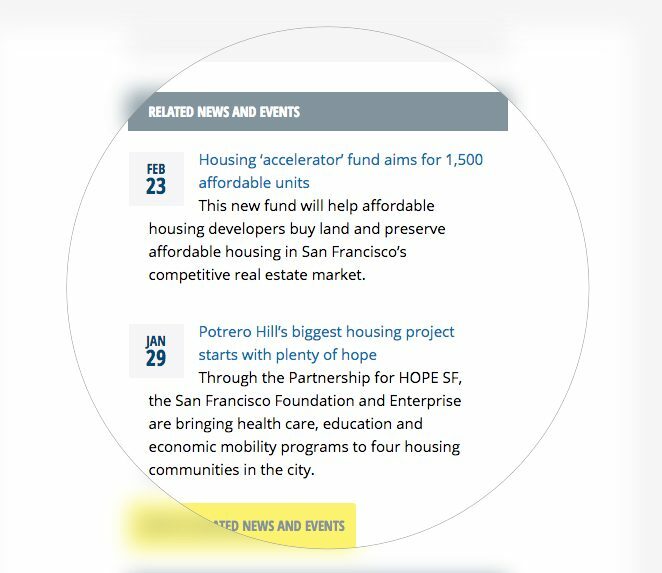 Enterprise Community Partners (ECP) retained Fíonta to redesign and develop three websites. With an aging content management system as a forcing factor, ECP decided to reorganize its main site and to combine previously separate sites under one brand and URL. With Drupal 8, we were able to create a number of custom features and content types to dynamically display and repurpose throughout the site. Robust blogging and Resource Library tools were developed as well. 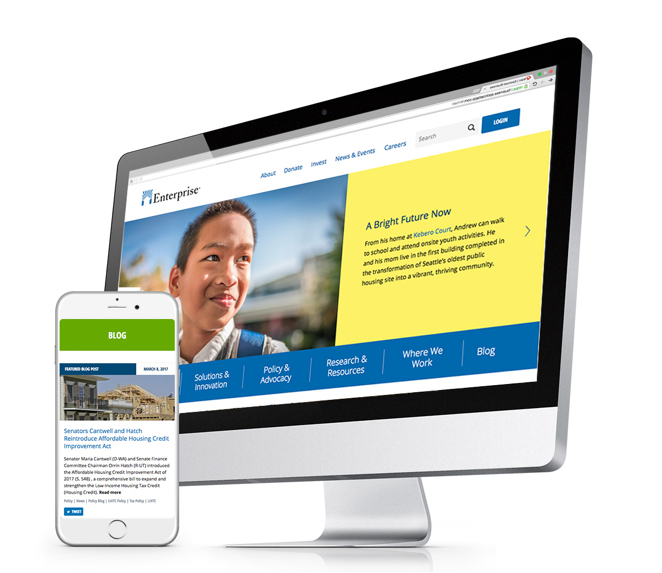 Supported by Drupal 8 and a plethora of custom content types, Enterprise Community Partners can now easily satisfy its broad and diverse audience. Dynamic content and practical content types make developing new pages a quick task. 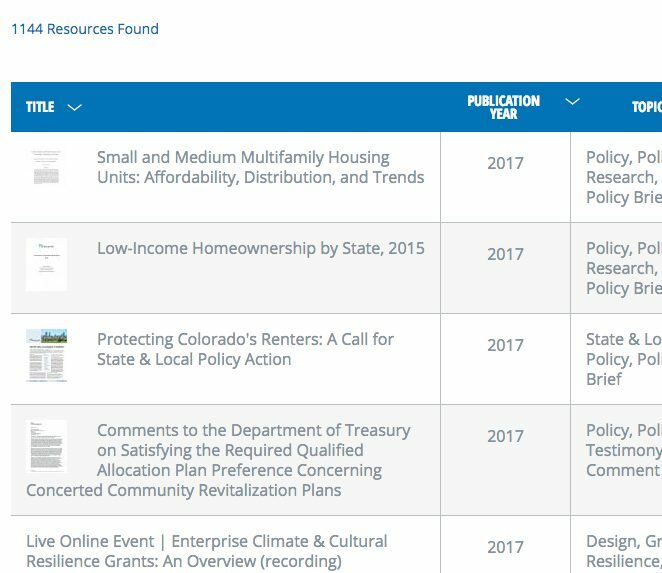 Previously siloed content – like the popular blog and deep Resource Center – are now integrated into the main site and tagged content can be repurposed and displayed throughout the site.